The types of conflict we face in business negotiation can be categorized by our role and relationship with the other party. By preparing for characteristics of each one, we will be better positioned to avoid them in the first place. Conflict in business negotiation is common, but it doesn’t have to be that way. There are steps we can take to avoid certain types of conflict and misunderstandings. Often, it helps to analyze the unique causes of conflict in particular negotiation situations. 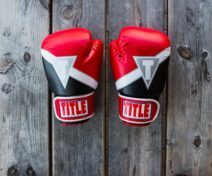 Here, we look at three frequent types of conflict in business negotiations and offer advice on how to keep them from flaring up. 1. Intercultural Conflict: Be Careful Not to Stereotype. When negotiating with someone from a different culture, we often try to learn cultural practices that will help us fit in or avoid causing offense. There’s a risk to focusing on cultural differences, however: we may give too much weight to presumed cultural differences and end up over-simplifying or stereotyping the other party as a result. When one or both sides fall into this trap, misunderstandings and conflict can arise. When preparing for an inter­national negotiation, background research on your counterpart’s culture is important, but it’s probably even more important for you to get to know him or her as an individual. Research the other party’s profession, work experience, organization, education, areas of expertise, personality, and negotiating experience to the extent that you can. To further defuse stereotypes, spend some time chatting and getting to know each other a bit before you get down to business. In addition, during talks, work to reduce stress at the bargaining table, whether by taking breaks or extending deadlines. Stress can cause you to act in lockstep with cultural expectations rather than carefully analyzing the situation, according to Columbia University professor Michael Morris. Business negotiations between friends and family members can result in hurt feelings, damaged relationships, or simply subpar deals. Indeed, conventional wisdom warns us against doing business with those close to us. Yet circumstances or opportunity sometimes makes negotiations with a relative or good friend irresistible or impossible to avoid. Harvard Law School professors Frank E.A. Sander and Robert C. Bordone caution that, despite their solid basis of trust and understanding, negotiating friends and relatives tend to avoid conflict rather than confront it. That’s a problem, because their past history may involve unresolved emotions that will flare up during the negotiation, requiring conflict management. Sander and Bordone encourage family members by negotiating together to consider and analyze the difficulties that may arise before they get down to business. To head off this and other types of conflict in negotiation, they advise you to take the time to agree on the norms, standards, principles, and processes that will guide your interactions. In addition, if business negotiations with friends and relatives threaten to become contentious, you might propose consulting a neutral third party, such as a mediator, family therapist, trusted friend, or expert, for help in resolving causes of conflict, advise Sander and Bordone. At work, a conflict between colleagues can impair productivity and employee retention cautions Program on Negotiation Managing Director Susan Hackley. How can you avoid conflict with coworkers from flaring up in the first place? You might begin by examining whether your department or organization welcomes constructive feedback rather than punishing it. Is it difficult to raise thorny issues? When it comes to managing workplace conflict, are there clear guidelines and structures in place to help people talk about sensitive issues respectfully? Employees should be given guidance on how to give good feedback so they can express their concerns in a positive manner rather than letting them stew. People who give good feedback ask questions, stay positive, describe how the situation makes them feel, and give specifics. They show appreciation when warranted and make suggestions for improving working relationships. In his book The Third Side: Why We Fight and How We Can Stop (Penguin, 2000), William Ury describes different ways that colleagues can help prevent, resolve, and contain various types of conflict. These include taking on the roles of provider, teacher, bridge builder, mediator, arbiter, equalizer, healer, witness, referee, or peacekeeper. Choose a role that feels authentic and right for you, advises Hackley, such as stepping in to mediate a dispute among team members or educating others about conflict styles and conflict resolution techniques. What other types of conflict have you faced in business negotiation, and how have you resolved them?